After two weeks of hard work, t is good to treat yourself and the family with something delectable and a new experience the kids can enjoy. 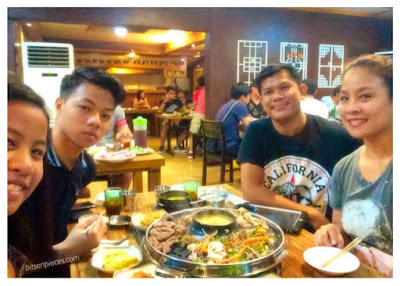 Seoul Korean restaurant was our choice to dine last Saturday, lately, we have been exploring food and restos around the city and the korean food is almost everywhere. 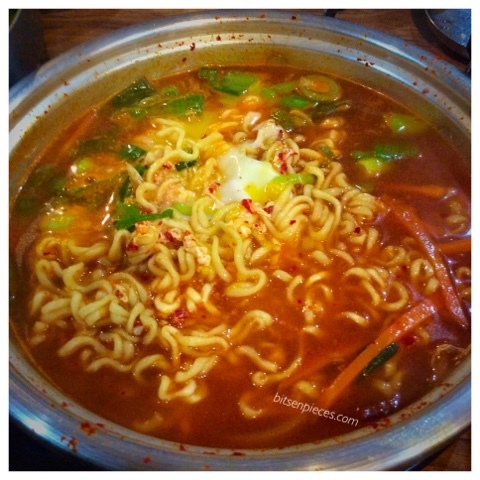 I personally into Korean food lately, my taste buds for Korean kimchi and the Ramyun calls for it. 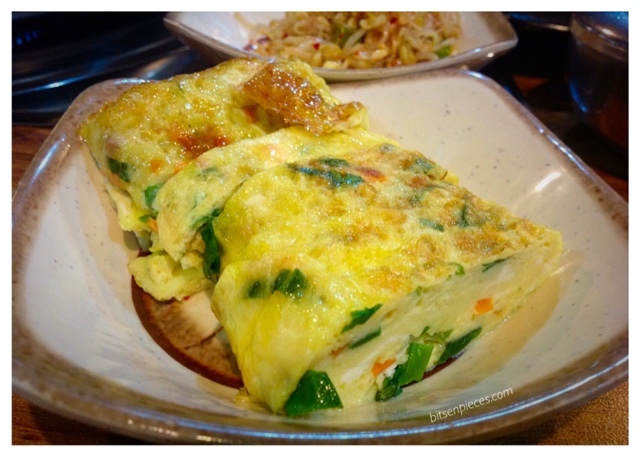 A couple of weeks ago I made a blog post about Chin Ku Restaurant which I slightly made a comparison to this post. Seoul Korean restaurant signage which you can see from the front to the driveway of the restaurant. You can never miss the location of the, especially at night. From our place to the restaurant we walked about 15-20 minutes passing the Harbor Point Mall.You can also get a private taxi but due to accessibility of the places inside the bay walking would be the best thing to do. We reached the place around past 7pm and the restaurant was almost full. The are tables and chairs outside for al fresco dining and also some private function rooms which can accommodate up to 20 pax. 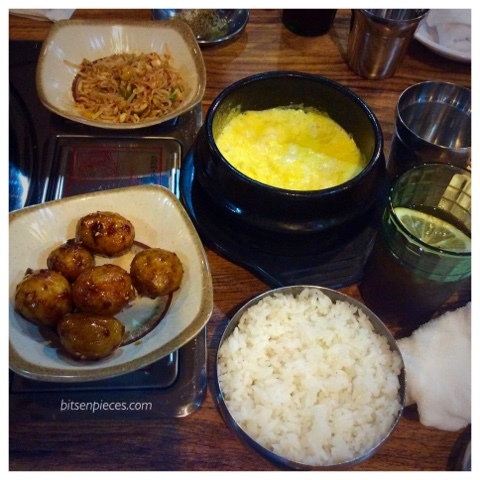 The inside of the restaurant is not that extravagant, it is a simple and yet presentable Korean restaurant you can find. Let's go talk about the food! We were seated right away when we arrived, a menu was handed to the four of us and it took us about 5 minutes to decide on what to order.We were served a pitcher of water and some aluminum cups for it, also each one of us got wet towelletes to freshen up our hands for later use. In the menu they have set dishes which ranges from Php899 up to Php1499. As the "mother goose,"I decided on what to order but of course with the approval of the kiddos. Photo shown above is the Set B in their menu which is mainly beef and priced at Php999. 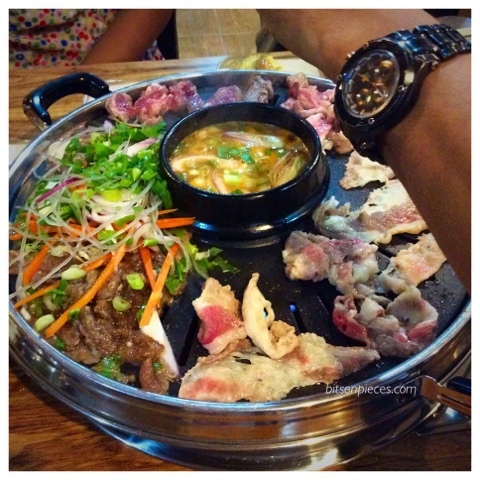 Korean bulgogi barbeque with 8 side-dishes, 3-cups of rice, 1-pitcher of iced tea. This set was served to us 10 minutes after we ordered and the burner was set-up. Some of the appetizers included were baby potatoes in sweet and spicy sauce, monggo sprouts (togue beans) and steamed scrambled eggs. Beef searing in the barbeque grill and some side-dishes. 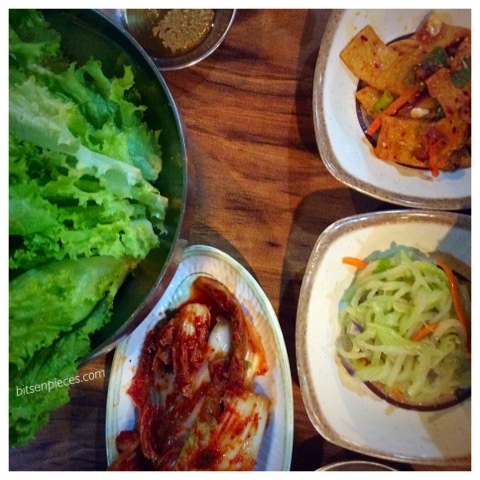 Kimchi, fresh crispy lettuce and other cold veggie side-dishes. My kids with our waitress who set-up the grill and the meat for grilling. As soon as the heat reaches the meat and started searing time to turn the beef strips and bulgogi. 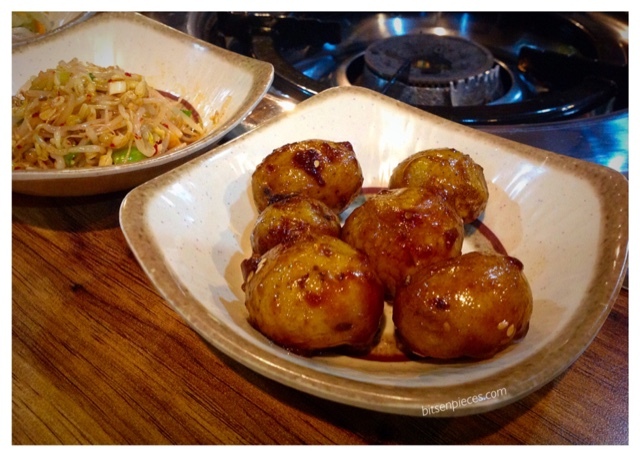 One of my favorite side dish was this baby potatoes coated with spicy and sweet sauce with sesame seeds. 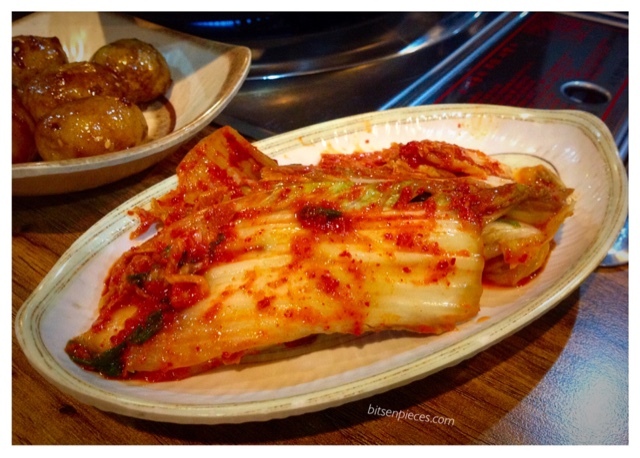 Plus, this very delicious kimchi plate. 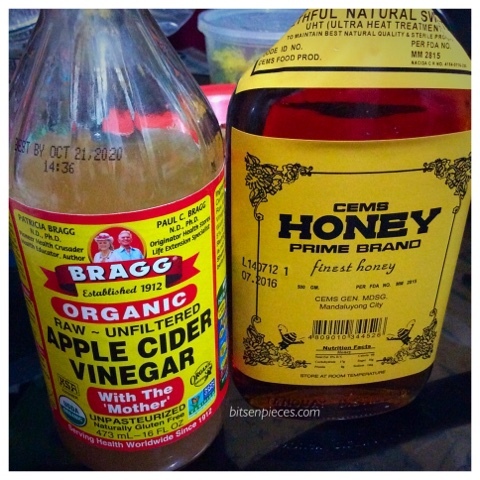 I love the fermented taste, the spiciness really compliments and got my approval for the taste and texture. They have this in the menu for a separate order which they sell in 500grams and a kilo. I will definitely buy this next time I passed by the restaurant. 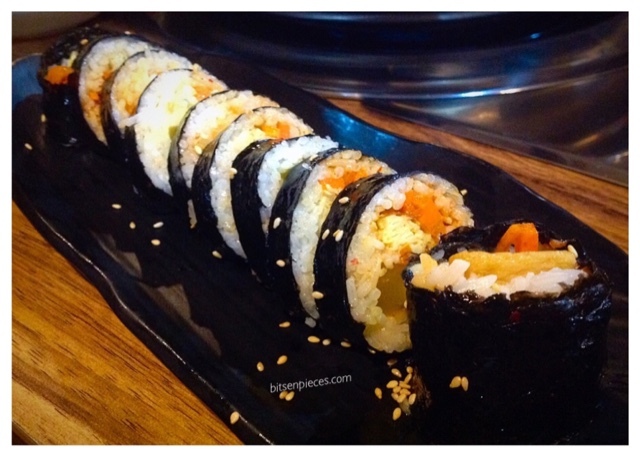 Korean rolled cakes was served too as one of the sidings. I love how colorful and vibrant the colors of the yellow, orange and green in the cake. I ordered the kids separate kimbaps for them, for the boy I got him his request for this spicy Jepkyu rolls. Php 130 served in a sushi plate cut into 10 pieces per order. 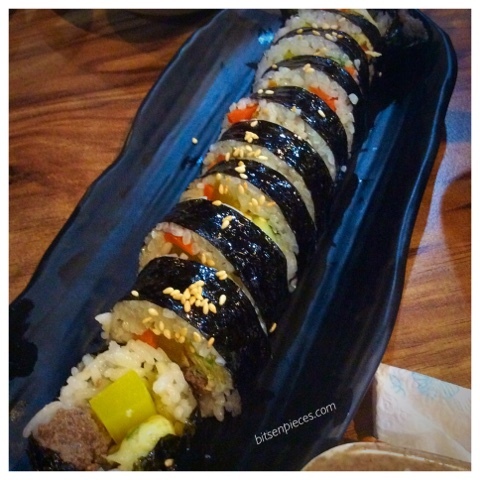 For the mini me, I got her this Bulgogi kimbap for the same price of Php130 per order. 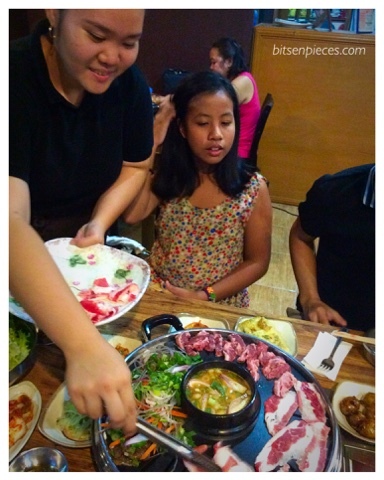 She loved the combination of the sweet mango inside that blends well with the meat inside. A single order of their Ramyun priced at Php160, this one failed my expectation. It was served last after we made a couple of follow-ups. It was served to us half-cooked and messy. The taste did not pass on my liking. It is somehow come close in buying the instant kimchi noodle packs you can get in the supermarket and crack it with an egg. 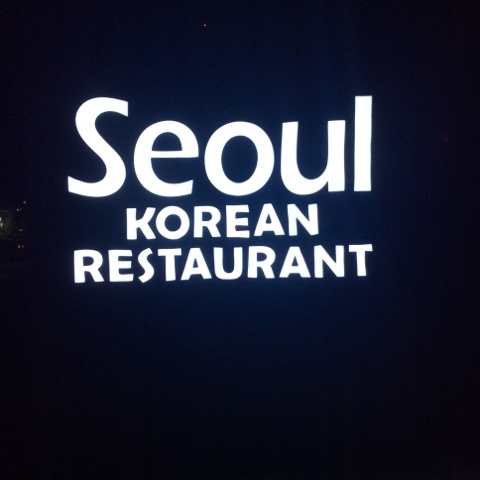 For the over-all experience of our dining experience at Seoul Korean Restaurant. 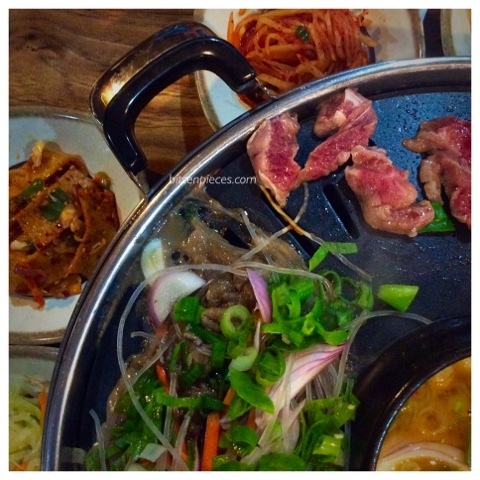 For the food taste it was okay nothing special expect for the fresh beef and the kimchi sidings, 5/10. 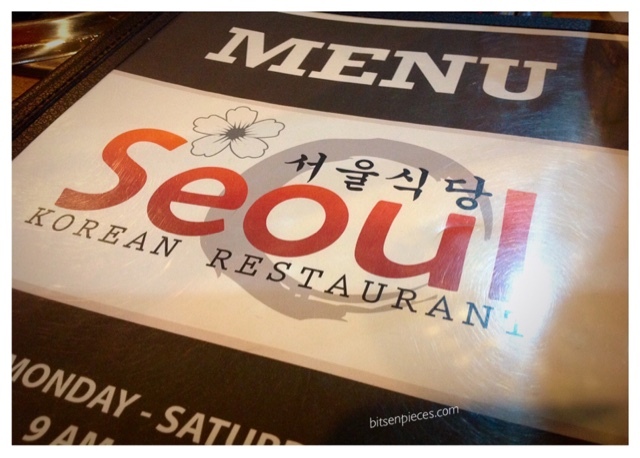 The price of the food is way too much compared to other Korean restaurants inside the Freeport. I also got the same reaction from one of my FB friends who had tried it that's why I am giving it a 6/10. The service was okay though we tried to follow-up some orders in the middle of our stay and did ask for some condiments for the Samyeopsal. Due to the volume of the customers I find the restaurant under staff giving them a 5/10. The restaurant is recommendable for the experience alone though I can see myself dining here again and will try out some of the food specially a kimchi take-out is definitely on my list. 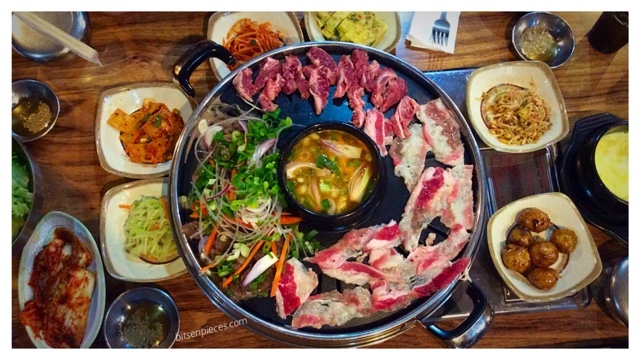 On our next Korean restaurant adventure will be the Bulgogi restaurant besides Interpark Hotel, definitely a blog post in the making. Subic Bay Freeport Zone, Olongapo City. Autograph, a breeze in a bottle...another flashback from the holiday's gifts I got last Christmas. This scent is very close to Dolce & Gabbana Light Blue which I had and this is also the reason I asked and wish for it for a Christmas gift to receive. 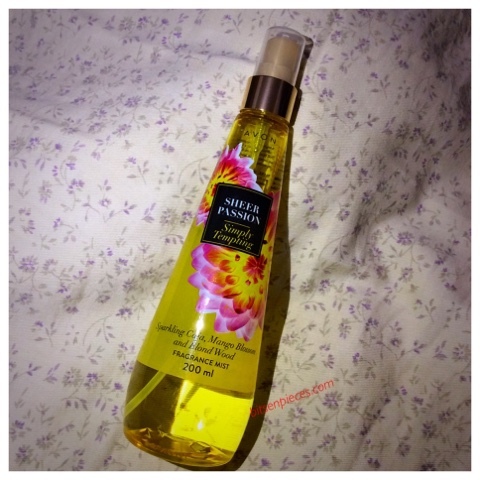 I saw this bottle scent at Marks & Spencers-Harbor Point Mall in Subic. I checked out the tester bottle out of the couple ones lined up for their Christmas holiday display. 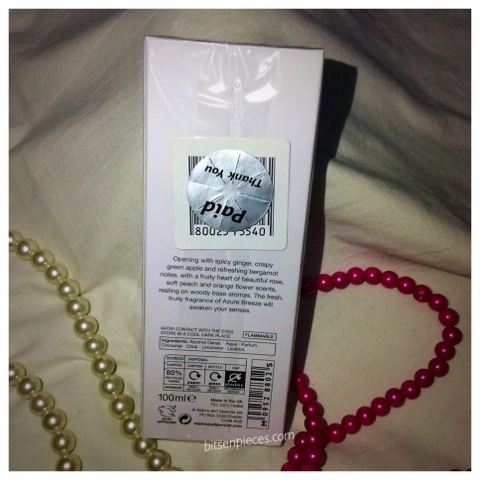 The classic and simple white and blue rectangular box packaging of 100 ml content bottle. 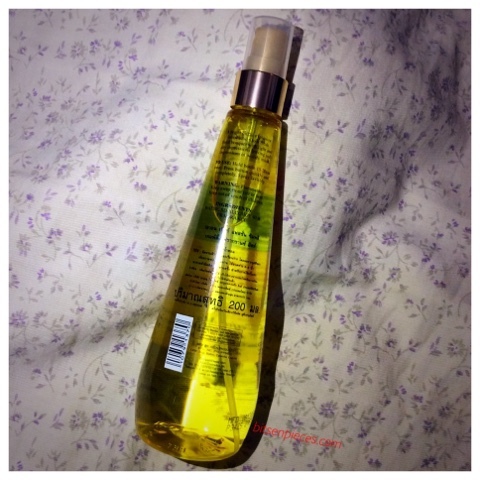 At the back of the bottle indicates the combination of the scent. "Opening with spicy ginger, crispy green apple, and refreshing bergamot notes, with a fruity heart of beautiful rose, soft peach, and orange flower scents, resting on woody base aromas. The fresh fruity fragrance of Azure Breeze will awaken your senses." The bottle content is flammable, needs to store in a cool dark place and avoid eye contact. 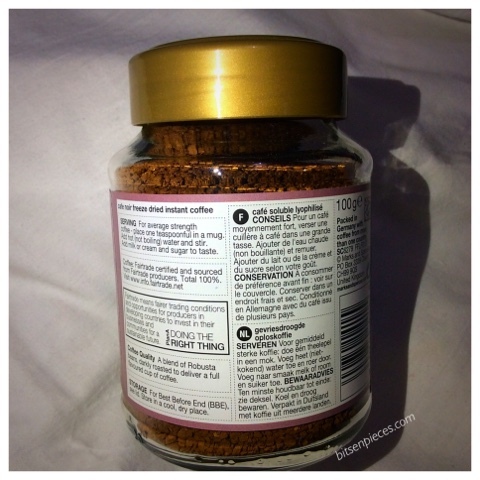 Made in the UK for Marks and Spencer. 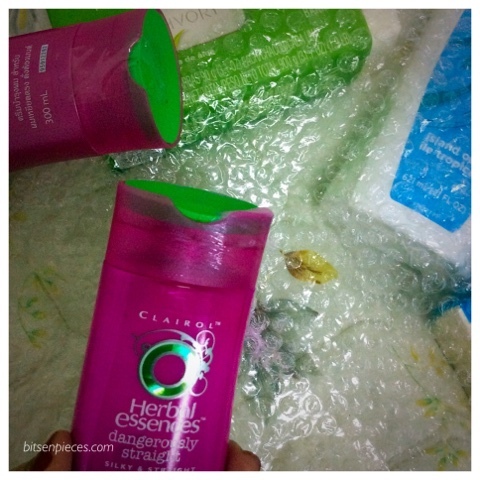 The bottle is almost the shape of the box with matte frost and a see through the plastic cap for the sprayer. Easy to hold and press the sprayer nozzle and it emits a content in a mist. The color of the liquid is a slightly yellow with a tinged of green. 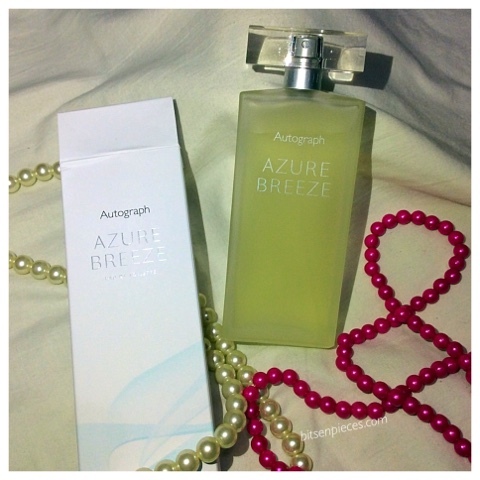 Marks & Spencer Autograph Azure Breeze eau de toilette 100ml bottle. 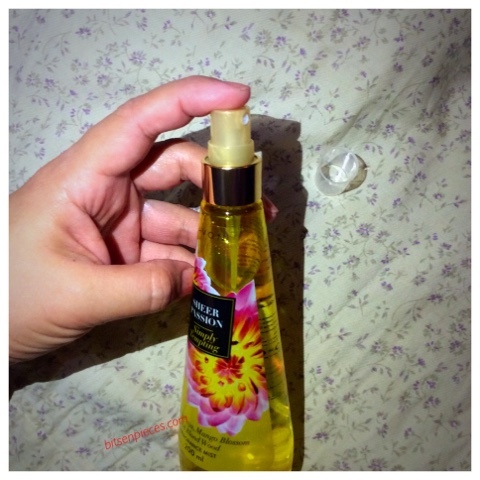 From the tester spray I had from the day I learn about this fragrance it really caught my attention, the calming and soothing scent I had was lingering also I made a distinct comparison to it with D&G Light Blue. I was delighted with this because of the pricing perse'. D&G is far way more expensive compared to Azure Breeze. Also, we got a 20% off from the original price of Php 1,296 ($29) to Php 1,037 ($23) made me even decide for this as a Christmas gift. I highly recommend this brand of fragrance if you are into citrus-woody scent, grab a bottle at your M&S stores nationwide. One of the most exciting part of Christmas season was to receive gifts you like most, do you agree with me? A bag of sachets full of coffee was one exciting gift we got last Christmas. 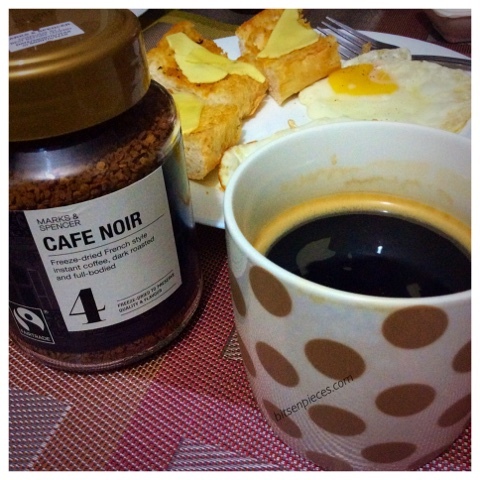 Super charcoal roasted white coffee (2 in 1 coffee and creamer packs). 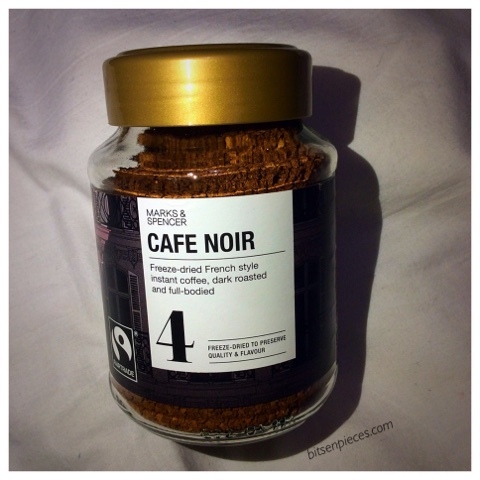 I was able to taste this brand of coffee a couple of months ago and I did like it. That one was the Super coffee from here in the Ph is was on a small pouch pack. This Super coffee is in a bigger pouch pack which means the content was a little more than the local packs from here. 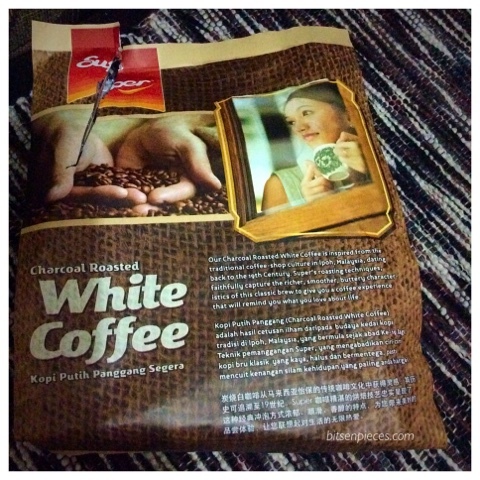 Super Charcoal White Coffee in 25grams each pack and in this bag it has 15 sachets. Super Charcoal Roasted White Coffee "Savour the rich and aromatic classic White Coffee with no added sugar, charcoal roasted to perfection." Manufactured by Super Coffeemix MArketing in Malaysia and imported by Super Coffee Corporation Singapore. .... I poured in the whole sachet in a cup filled with boiling water (i like my coffee super hot), it creates a foam while the powder was diluting. 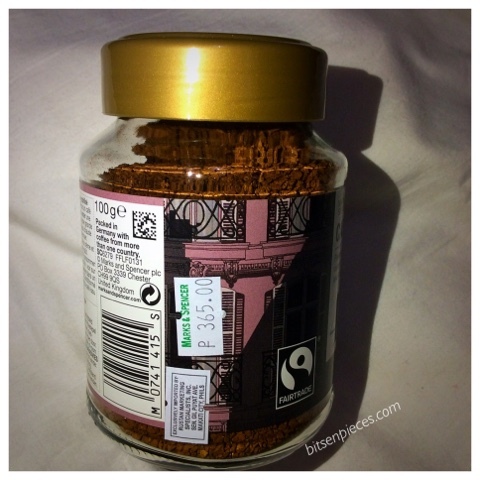 The scent of the coffee was not too powerful compared to instant coffee locally branded one (Nescafe). 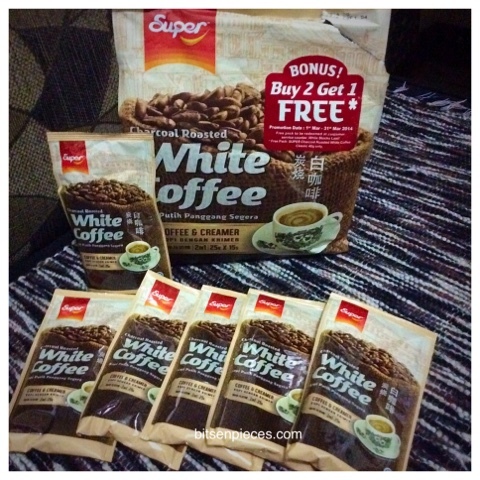 Super coffee 2 in 1 only has coffee and creamer in it, so you need to add sugar according to your liking. But, since I am trying to lessen my sugar intake I did like mine with no sugar. It is frothy and creamy and my liking to a coffee did pass this brand. Since it is an imported one, it would be hard to find one in our local supermarket, I am glad was able to try it, I might try to purchase the Super coffee from here. 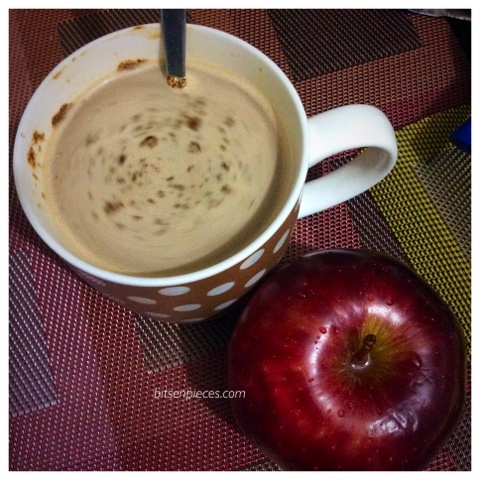 I still have a few sachets left at home and still savoring the creamy goodness of Super Coffee. Holiday vacation has been the busiest week I had since before the kick-off until the last days of it. Just today I browse through my iPad gallery and saw some pictures from last month. And, this one is truly a worth sharing picture for a blog post. Before my daughter had their Christmas break at school, they were grouped and instructed to come up with a Christmas wall decor that is mostly recyclable. They have given exact measurements a theme for it. I searched and browsed Google and led me to my Pinterest site and had an idea for it. My initial plan for the Christmas wreath was to use a Christmas tree design cookie cutter and will tweak the rest as we go along the way building the wreath. Unluckily, I couldn't find that cookie cutter shape which will be the main material for the project. I resulted in another material which I saw at the thrift store, the aluminum cupcake molds. Let's begin the fun part of building this Christmas wreath. This Christmas decor consists of 90% recycled materials we have at home. The remaining 10% was the materials bought. For the base of the wreath, we cut up the spare styrofoam to 18 inches round, measure it using a pin in the middle with a pencil tied in a cord on the other end. Making a circle figure, then cut the shape using a cutter. Wrap the styrofoam with the red foil, securing it with scotch tapes, maintaining the shape of the circle. 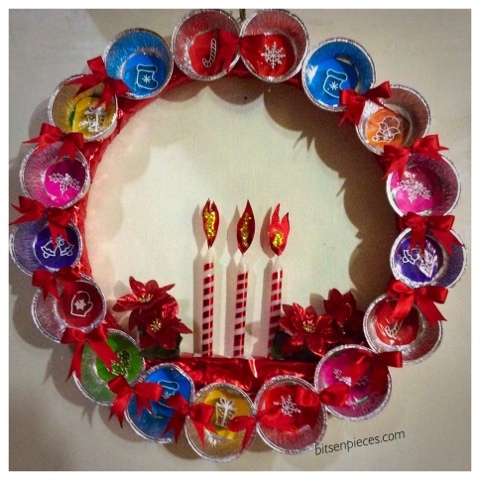 Be careful not to disfigure the shape of the wreath, which can be made by tight wrapping. Cover all the white color of the styrofoam. Set aside. Cut up Christmas design from the wrapper, with this the cut-up where just exactly to fit the inner space of each muffin cups. Secure it with double tape or Elmer's glue, let it dry. Get the red ribbon lace (recycled from the local cake shop which they use to tie the cake box when you buy). Cut approximately 4-5inches, make a ribbon out of it. We run out of the materials for this that's why some cups doesn't have one. When the cups are dry, glue the base of the muffin cups in the styrofoam. Checking the design in a proper position. When two sides of the cups meet, secure it with red ribbon each, securing the cups first with bendable twisted fire and glue in the middle of the ribbon onto the top of the wire. Fill-in the space of the wreath. Let it dry. Cut a piece of styrofoam with a measured hole for the base of the candle to stick, glue the candles. (prepare candles wrapped in leftover red aluminum strips securing it with scotch tape). Cut pieces of red paper with a flame shape, glue it with the candle wick add sprinkle with gold dust. This will resemble as the candle is lighted with flame. Secure the wreath with a wire you can use to hang it on the wall. It is pretty simple to do, the key to this is to spend as little for the materials but it will pop-out with colors and the motif of the event. My daughter submitted their project and she got a good feedback from her teacher. I guess the wreath will be hung again next year, I certainly do hope for that. Although holiday season is way behind us already, just now I am tweaking some of the blog drafts I have during that time. Sharing to you this brand of Christmas ham we got for the holidays. Christmas is about family tradition that we keep and pass along to our succeeding generation in the family. Christmas can be celebrated in a simple way but some can go as extravagant as possible, well this will always depend on one's family income. 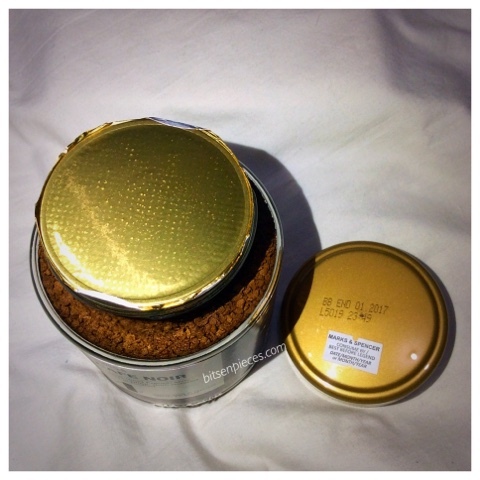 It weigh more than 500grams and when I opened the plastic pack container I instantly smelled of the smoke flavoured meat. I used the sharp butchers knife in slicing the ham and took a small piece to taste. It was tasty, smokey and the delicious. The ham can be eaten just like that or you can bake it drizzle some pineapple juice or sear fry it in a hot non-stick frying pan. No extender as you can see, it has whole meat that when I was slicing the meat were separating according to the chunks when it was moulded during curing process. You can also see the net marks plus some fat sticking outside the ham. 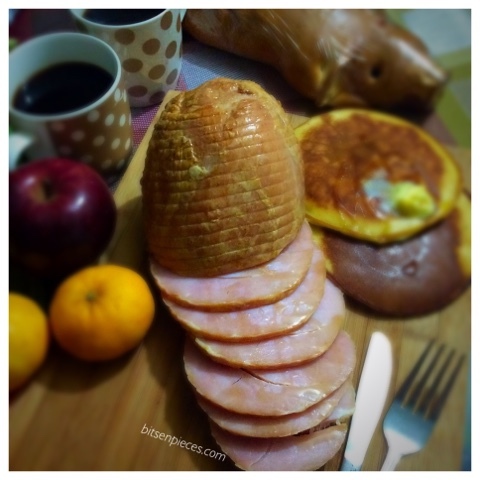 That morning we paired some slices with homemade pancakes and it was a perfect match. Drizzled some pancake syrup on top to add a little sweetness to the ham slice. The meat was tender and delish! I would want the same ham for our next Christmas feast if only we have S&R supermarket here in the City. 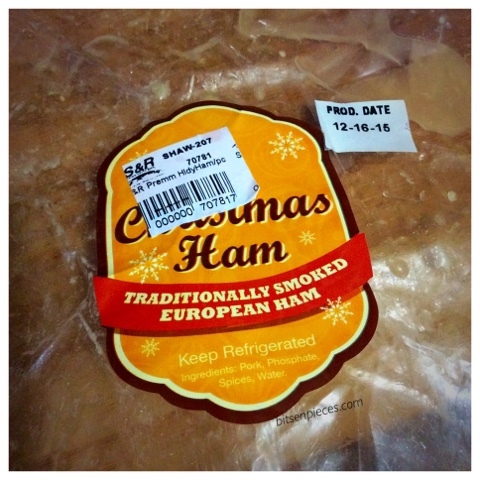 Have you tried this ham last Christmas, did you like too? drop me a comment below and let's compare. 'Til next. Do you keep those airline toiletry bags from your travels, or even friends and family hand it out to you as souvenirs and such? I am not much of a fan of toiletry bags, not until I got this two from a family friend who traveled recently via Oman Air and United Airlines. These two toiletry bags catches my eye in an instant. 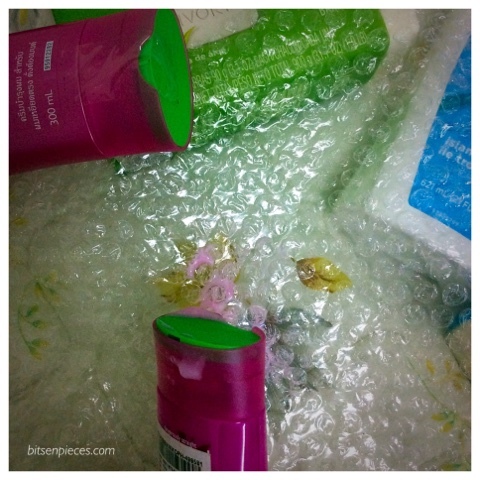 Let's unpack these bags and see what's inside, shall we? The first bag is the Oman Air toiletry bag. It has this gold plated Oman Air name engraved. The bag zipper in brown color. Exposing the inside of the bag opening the bag zipper open wide. I see gartered compartments on the sides. 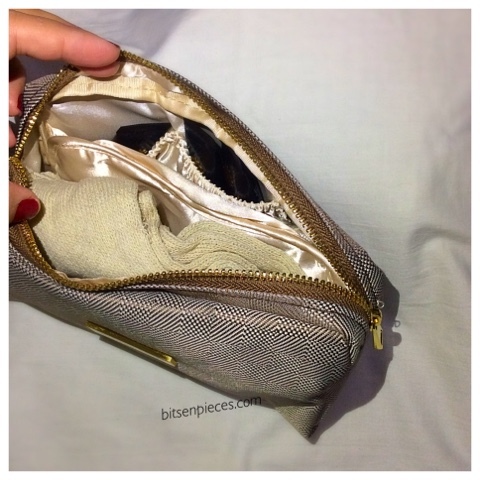 A folded socks and gold color silk eye mask. Let's do a flat-lay on what is inside in the bag. 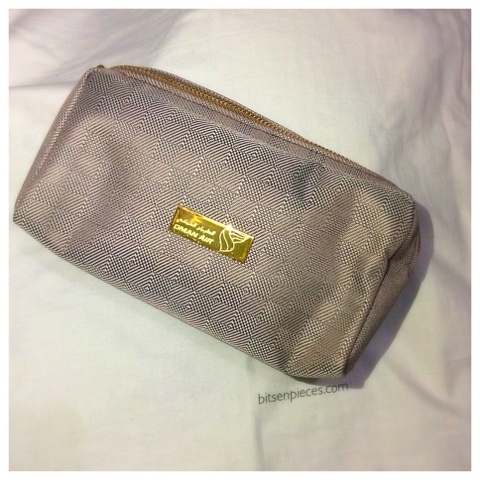 1- Oman Air toiletry bag with zipper. I find this toiletry bag from Oman Air nice because of the content of the bag, having those branded necessities placed a good mark into it. Also, the color looks elegant and presentable too. Gold and brown really compliment each other. This is definitely a keeper for a toiletry bag. I can reuse this bag as my makeup bag when I used up items inside. Second toiletry bag we have here is the United Air toiletry bag. 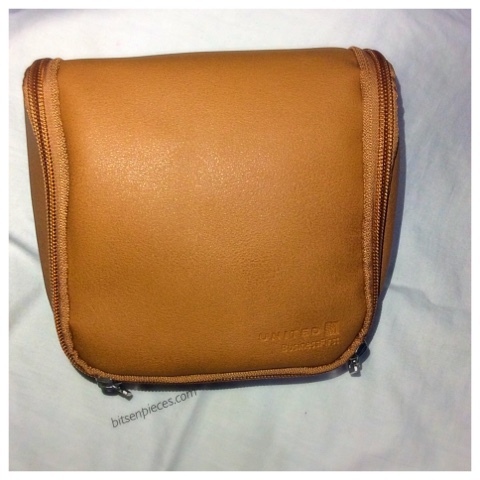 United Air toiletry bag has a brown color with two brown zippers around the edge that can meet in the middle when you zip and unzip. It also has the name of the airline embossed in the lower right corner of the bag. Let's unzip and see what's inside. The inside of the United Air has two compartments, one with zipper mesh compartment and the other one is an open compartment. It also has this extra loop at top for you to hook up the loop for easy access to the items inside the bag. The inside has a color blue cloth and zipper. 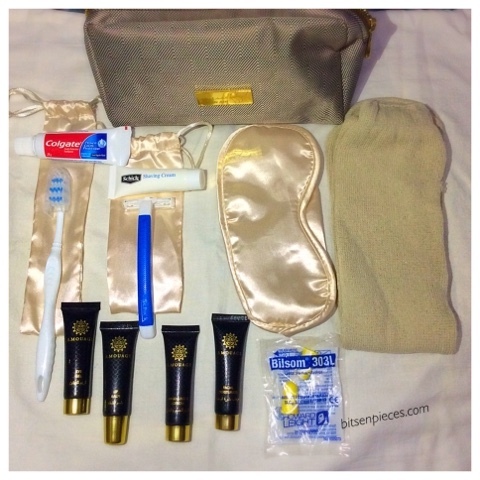 What inside the United Air toiletry bag? 1-pair stripe blue socks with non-slip rubber at the bottom. 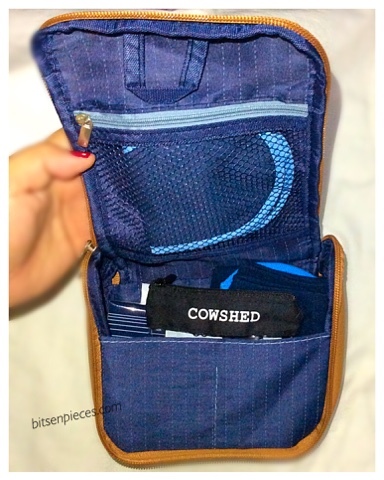 1- Cowshed transparent zip mini pouch with lip balm and a small container of lotion. This is a little dull in color and my favorite item of all in this bag is the bag itself and the pair of socks. Do you have any precious airline toiletry bags you want to share?